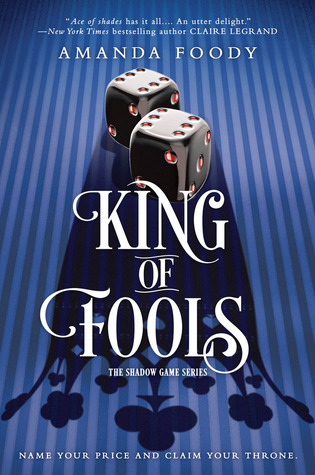 Most Anticipated Read of April: King of Fools by Amanda Foody, sequel to Ace of Shades, which I adore. I’m ready for some more shady underworld activity ushered by local noble youths. 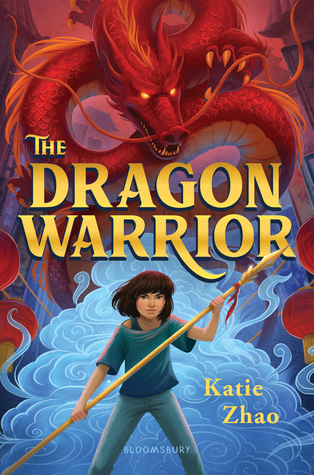 Favorite Read in March: The Dragon Warrior by Katie Zhao! I adored this book. I was lucky enough to win an ARC copy of this from Katie Zhao’s twitter giveaway. TDW is truly a delight and I’d recommend it to anyone looking for a middle grade book with some cool mythology and adventure, but I would ESPECIALLY recommend it to diaspora readers because it made me feel all warm and tingly on the inside after finishing it as an OwnVoices reader. Plus, the cover is illustrated by Vivienne To who is also responsible for my much beloved Kiranmala and the Kingdom of Beyond book covers. Least Favorite Read in March: Lady Smoke by Laura Sebastian, sequel to Ash Princess. I filmed a video review of it, so please look out for that in the future. This just felt like a rehash of the first book, down to the events of the climax. Note: I’ll be going on a trip to Shanghai and Suzhou later this month. I’m not in the habit of bringing a trunk of books to read, but I’ll probably bring one or two along for my flights and downtime. I finished 4 books in February and still have quite a few books in progress. Overall, it’s intersting that one of my busiest months in awhile was also my most productive reading month in a long time! I started off my Artemis Fowl Read-AlongThrough this month, and I hope to be able to do it consistently all the way up to August just in time for the Artemis Fowl movie. Most-anticipated read: Kakuriyo. LBR I love that fox and foody content. I already know Kakuriyo will delivery on all its promises. However, the Wicked King was my most anticipated novel for January and baby… it’s not delivery but it’s not Digiorno either. My impression is that they had to stretch the story into a trilogy because of how lacking TWK was. I’m curious to see how Holly Black ends the series, but I don’t have high expectations. 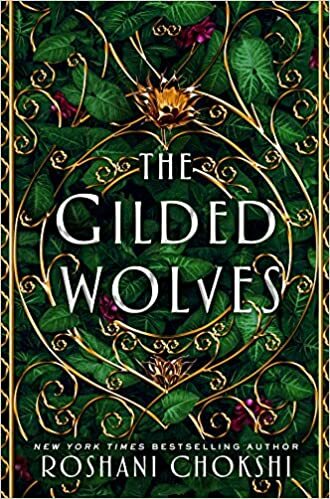 Favorite book of January: The Gilded Wolves, hands down! My monthly banner uses the cover art because I loved it so much. I actually didn’t even have this book on my radar much, but my library had it so I picked it up on impulse and I have no regrets! After my painful experience reading Six of Crows, reading the Gilded Wolves was extremely cathartic because of Roshani Chokshi’s poignant commentary about her characters’ marginalizations, which was something that I always felt didn’t ring as true in Bardugo’s work. Least favorite book: It’s gotta be a tie between Spinning Silver and the Wicked King. I probably won’t even write a full review of Spinning Silver because it wasn’t worth my time. I found Descendant of the Crane to be a mixed bag because it was a frustrating read, but I couldn’t bring myself to hate it because of the ending.